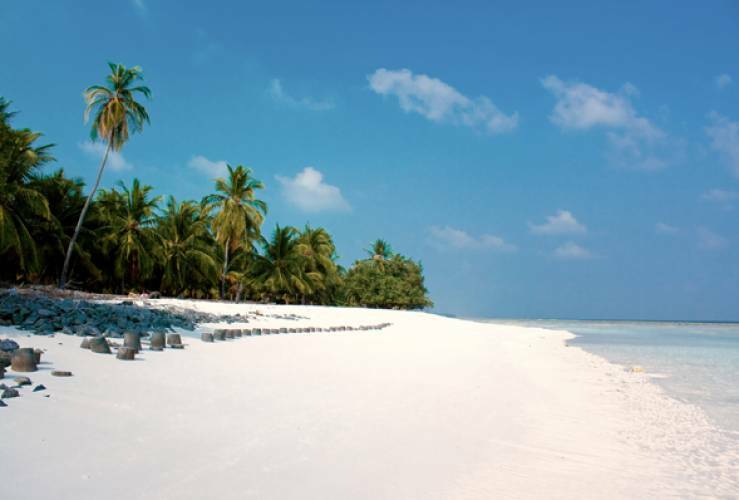 The Lakshadweep Island is situated between the cool blue sea and rough mountains and you can plan your Honeymoon in Lakshadweep if you need a place out of the urban hustle that has bounty of natural scenarios to give relief to your smoke stained eyes. The sands stretched over the beach is silvery soft and the coconut plants swat in the breeze giving an ethereal feel in the cool evenings. The murmur of the waves can help you to become romantic as does the gold spread on the water during each sunrise and sunset. The Tropical coral islands on the sea are sought after by most honeymooners and the isles around the lagoons are places for different water sports. There are small places tucked between the hills that can be explored by new couples. The Honeymoon in Lakshadweep will become memorable with the lagoons and aerodrome around the capital Kavaratti are places that each new couple can enjoy. The Ocean offers fisheries and scuba diving, snorkeling, kayaking and sea fishing. The local poultry firm, sea museums and milk dairies are a few out of the way places if you are interested. The coral and coconut are the 2 products that are found in different mode. The blue water surrounding the island can be ideal to bring your dreams come true.